RIT associate professor Casey Miller is contributing to the effort to create a national network for access and inclusion in physics graduate education. Rochester Institute of Technology is collaborating with the American Physical Society to transform physics graduate education with the goal of building a scientific workforce that reflects the nation’s shifting demographics and ensures U.S. technological leadership. 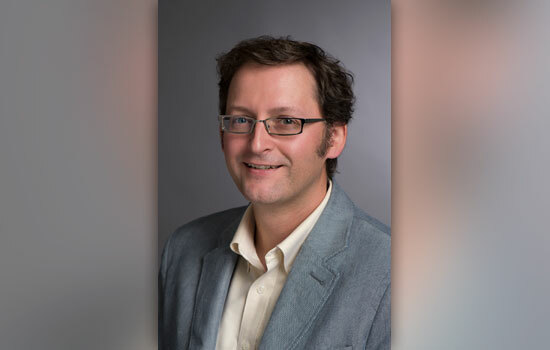 RIT associate professor Casey Miller is contributing to the American Physical Society-led effort to create a national network for access and inclusion in physics graduate education. The two-year project is funded by the new National Science Foundation program INCLUDES, (Inclusion across the Nation of Communities of Learners of Underrepresented Discoverers in Engineering and Science) to increase diversity in the scientific workforce. According to the U.S. Department of Education’s National Center for Education Statistics, the percentage of physics doctoral degrees awarded to women and minorities from 2012 through 2014 is the lowest in the scientific fields, with women earning 19 percent of conferred doctoral degrees and ethnic and racial minorities, 7 percent. Underrepresented groups include women, Hispanics, African Americans, Native Americans, persons with disabilities, people from rural areas and people of low socioeconomic status. An RIT strategic goal is to become one of the largest producers of female and underrepresented graduates with science, technology, engineering and mathematics, or STEM, degrees among private colleges in the United States. The discipline-wide effort seeks to improve recruitment, admissions and retention outcomes by making strategies discovered through bridge programs applicable to small and large universities. A national network of disciplinary colleagues, experts and representatives from professional associations will work to build knowledge and inclusive practices. The two-year pilot project begins this fall with a focus on the impact of admissions committees’ protocols on diversity in physics. Miller and his colleagues will conduct faculty training workshops at six large state and ivy-league universities, recommending new selection protocols for evaluating applicants and alternatives to GRE cutoff scores. Gauging diversity across the physics discipline is another aspect of the project. The team is drilling deeper into admissions data from 2000 to 2010 to understand correlations between admissions metrics and physics Ph.D. completion. Following the pilot workshops, the team will revise the training and selection tools and present the program to a bigger audience of directors of physics graduate programs. Miller is collaborating with Monica Plisch, director of education and diversity at the APS and principal investigator on the NSF project, Ted Hodapp, director of project development at the APS, Geraldine, Cochran, assistant dean of the Douglass Project for Women in STEM at Rutgers University, and Julie Posselt, assistant professor of higher education at the University of Southern California and author of Inside Graduate Admissions.